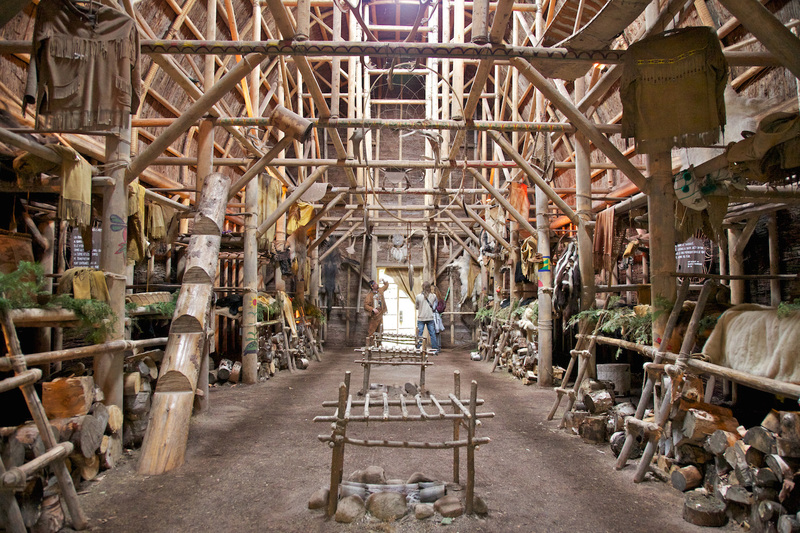 Inside a traditional Wendake longhouse. 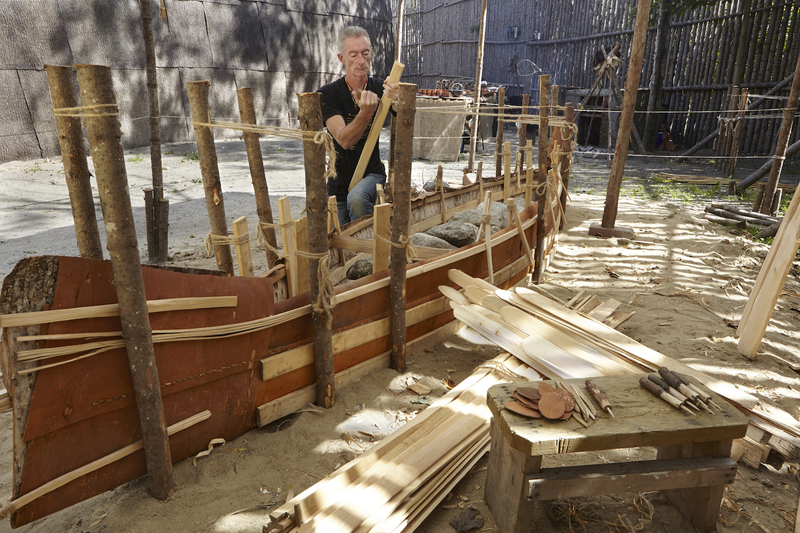 Watch a First Nations canoe being built. A fire is being stoked. Two guests learn about traditional crafting. Go back in time with the First People in a traditional Canadian longhouse. Thousands of years before the arrival of Europeans to Canada, the people of the First Nations lived in a variety of dwellings to suit their surrounds. 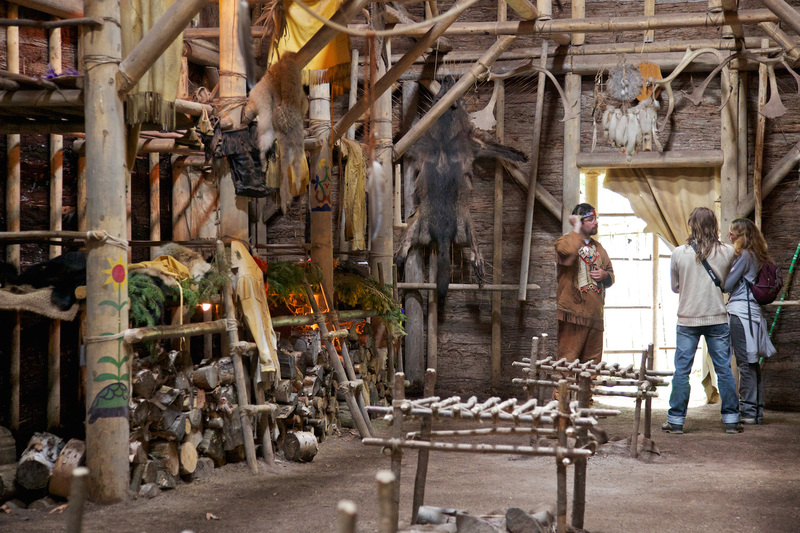 The longhouse was one of the earliest departures from the more nomadic teepees and wigwams, and became an important gathering point. 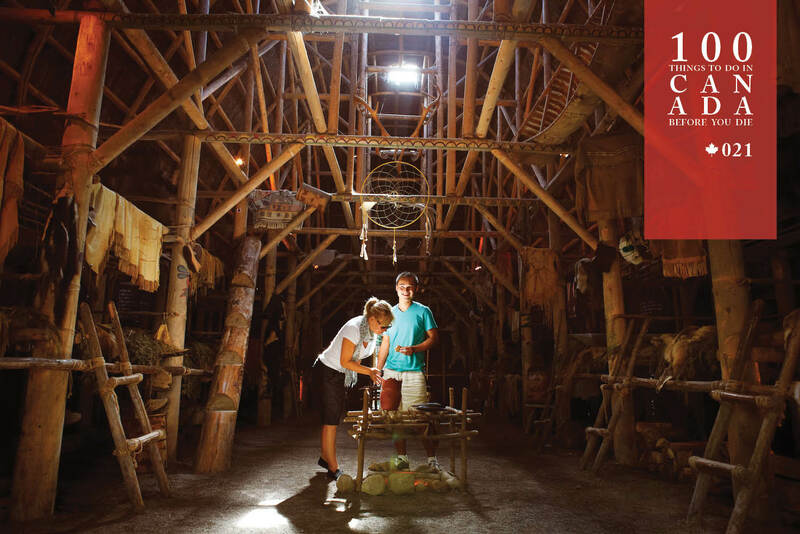 At the Hôtel-Musée Premières Nations in Wendake, a self-governing Huron-Wendat Reserve within Québec City, guests can spend the night in a traditional longhouse. Snuggle up under a thick bearskin rug alongside a crackling fire-pit much as the Huron-Wendat Nation’s ancestors did countless generations ago, and listen as your fire-keeper sings the songs and recounts the myths and legends of an ancient people, before preparing you a soothing pot of Labrador tea and promising to watch over your dreams. 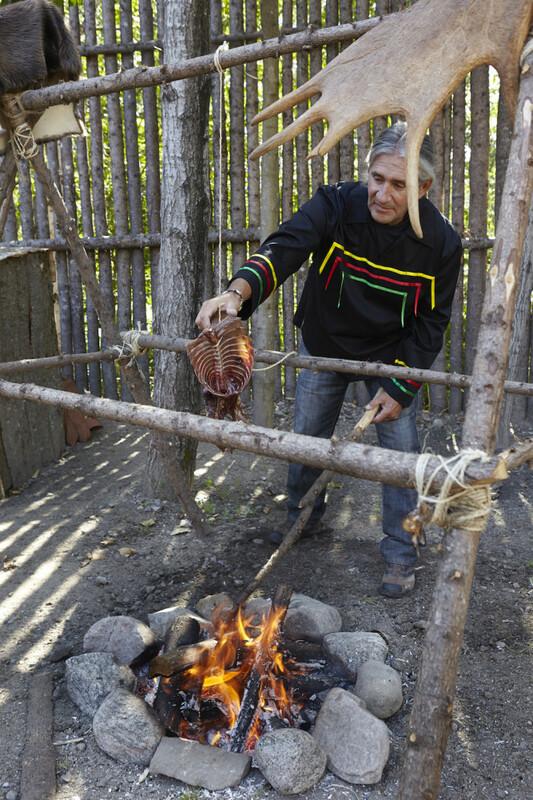 Book a night in the longhouse at tourismewendake.ca. The Hôtel-Musée Premières Nations in Wendake is roughly 15 minutes’ drive north of Québec City and houses a first-class hotel and museum complex, as well as the longhouse annex alongside.